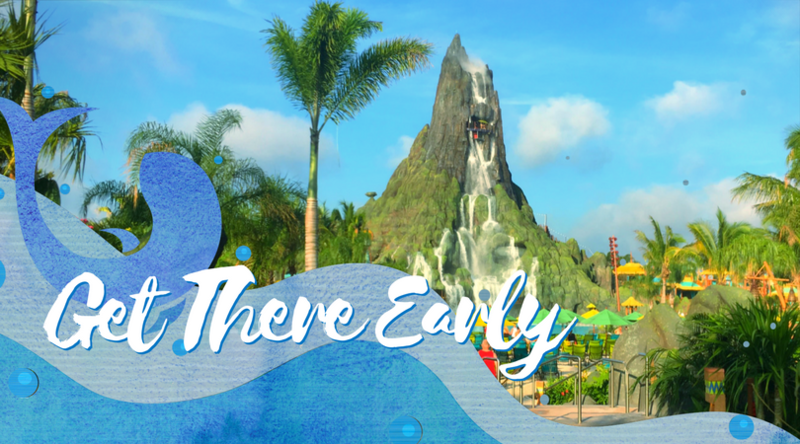 Volcano Bay is open, and with Universal Orlando’s new water theme park reaching crowd capacity most days, making the most of your time there is a must. 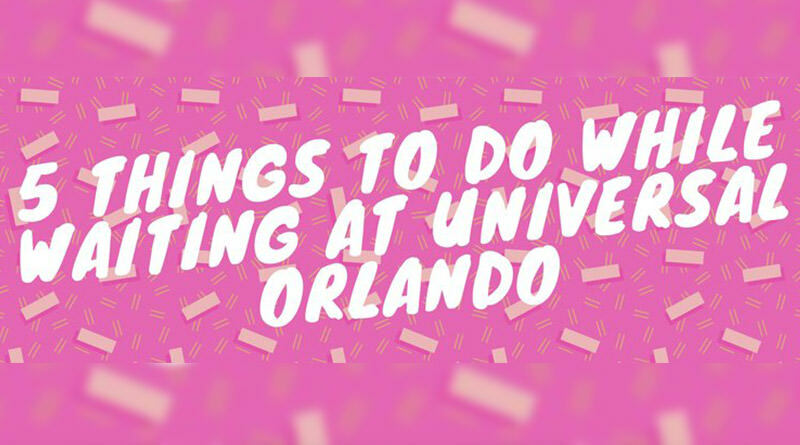 Here are some ways to ensure as much fun as possible! Stay on-site. If you stay on-site at a Universal Resort Hotel, you are allowed early park admission one hour before park open. This is a great opportunity to get in, secure your locker and belongings, and hit the water slides before the crowd. 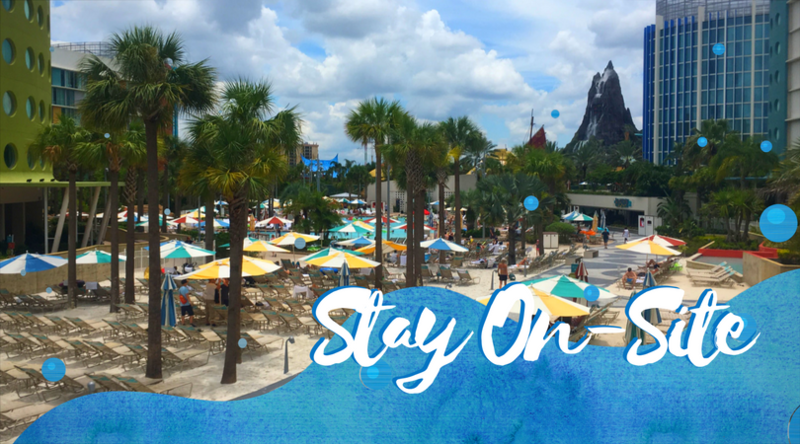 If you stay at Cabana Bay Beach Resort, you can even take advantage of a special entrance for resort guests. Get there early. Even if you can’t stay on-site and take advantage of early access, you can still get there at park open. This will better your odds of getting in the park if it reaches capacity, and will still give you time to enjoy some slides before long lines form. 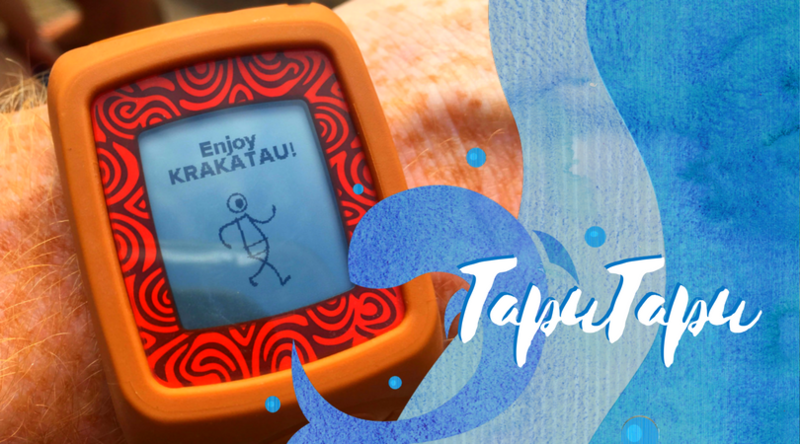 Our family was able to do about four large attractions before having to use the park’s TapuTapu system, which is a virtual line system using a waterproof wristband. 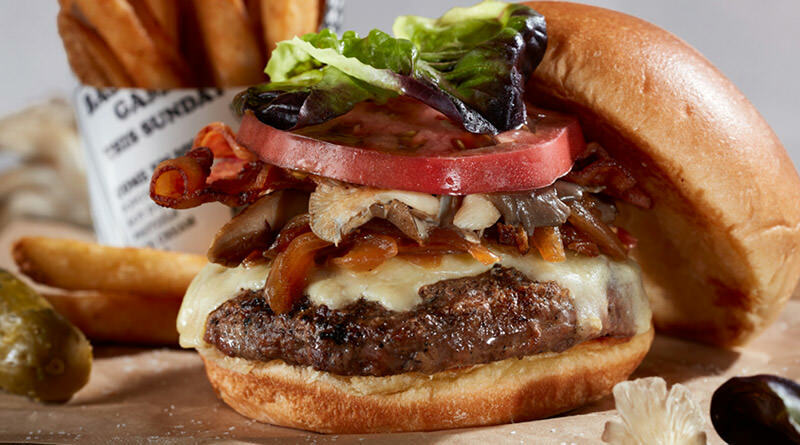 Do the big attractions first. 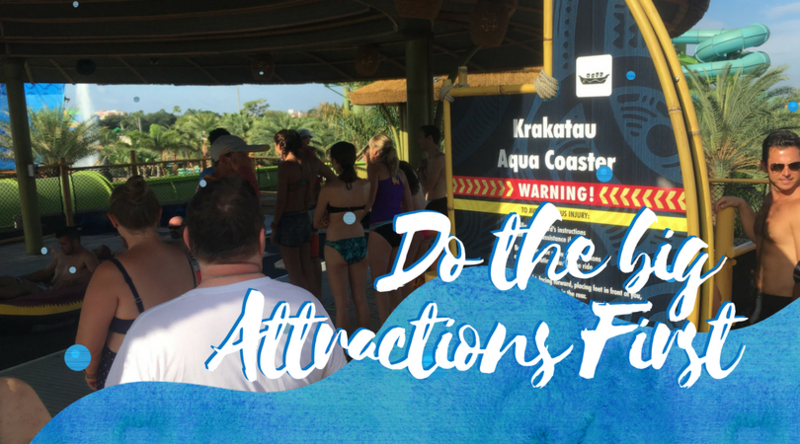 The Honu ika Moana, the Krakatau Aqua Coaster, and the Ko’okiri Body Plunge are some of the most popular attractions at the park. If you do these first before significant wait times begin, you will have more time to enjoy the rest of the park later! Of those, I would recommend going to the Krakatau Aqua Coaster first. Consider premium seating. 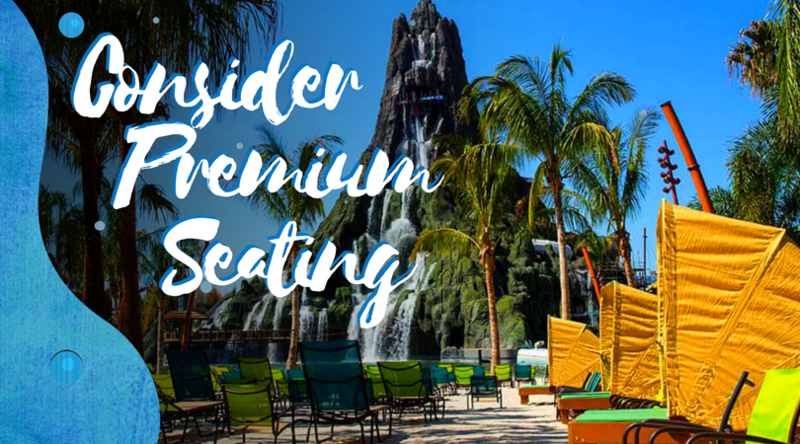 Premium seating is cheaper than reserving a cabana and still ensures you covered lounge chairs in a prime location. The real benefit, however, is the locker box and food service. You have a safe place to stow your belongings and can order lunch from a menu from your chair by the wave pool! A set of two loungers and an adjustable shade begins at $29.99 per day depending on the visit date. While this service could really improve a day at the park, it was our recent experience that it wasn’t quite ready yet. Our locker box never worked, and the attendant for our area was difficult to find. With more time and staff experience, this service could offer guests a wonderful benefit. Take full advantage of your TapuTapu. Your specialized wristband will not only count down your return time to your next attraction, but it will also allow you to interact with the water park itself. 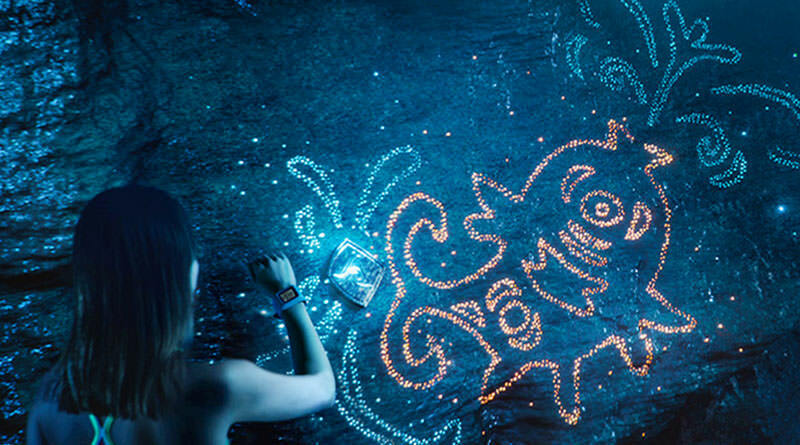 With your TapuTapu, you can trigger water cannons, create a light show in the volcano, and take photos of your family in prime picture locations. We loved our TapuTapu! Our wristbands even notified us when the attractions had to be closed due to inclement weather. Wait in line at both lazy rivers! 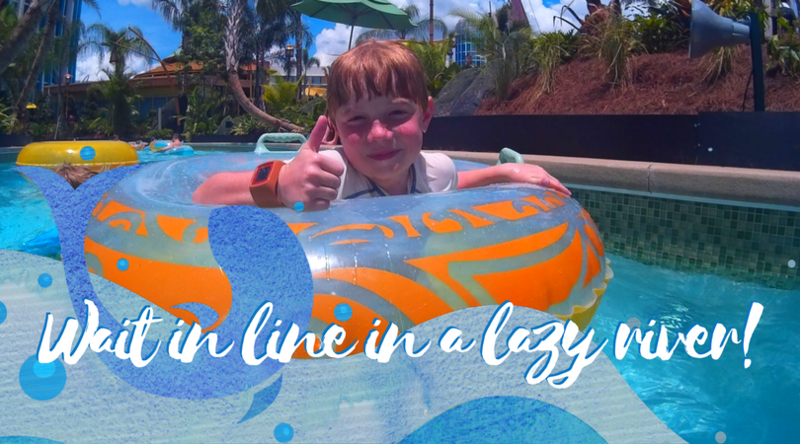 No one likes waiting in line, but it is much better when you are floating down a river instead of standing on steps in the hot sun. Volcano Bay has two amazing lazy rivers. Be sure to try both! Relax on a slow ride through the Kopiko Wai Winding River or take a more adventurous, wave-filled path on TeAwa The Fearless River. Both rivers offer beautiful scenery and a fun way to pass the time while waiting on your TapuTapu to signal your next ride. 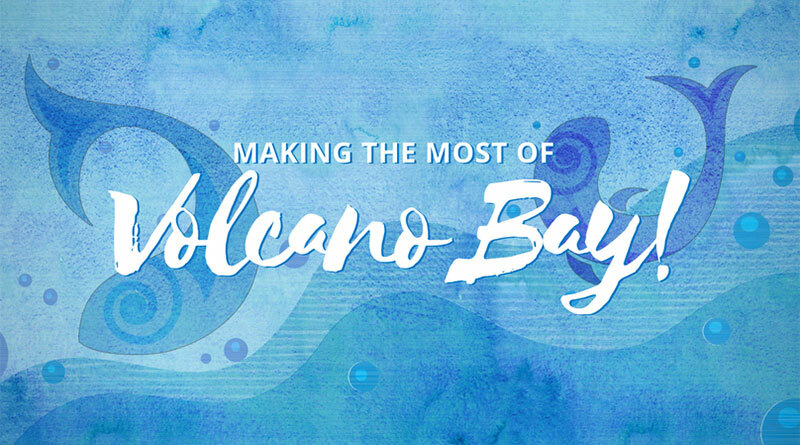 Going to Volcano Bay? Use these tips to make the most of your park day!